Construction is officially underway for Broadstone Bryant Park, a multifamily community consisting of 345 units. 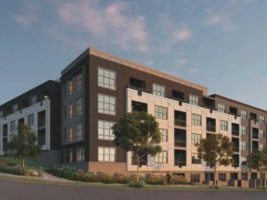 This is Alliance Residential Co.’s first project in Charlotte, N.C. and will include studios, as well as one-, two-, and three-bedroom apartments. Far from the normal amenities include a yoga studio, Wi-Fi co-working space, dry cleaning pickup, and a pet spa. The site is expected to finish in summer of 2019.